Last updated: January 18, 2018. The following content uses affiliate/referral links, which means that I earn a small commission, at no cost to you, if you decide to make a purchase. Read my disclosure policy for more info. Do you know that when I started my very first blog, we had a dial-up internet connection? Ugh, I feel so old! The connection was so slow, I swear I sometimes sat in front of my huge computer screen, with a ruler in my hand, making sure that the “connecting” bar, was actually moving. I started writing my first blog when I was 14. Back then, blogs were online journals. Every day after school, I’d come home and blog about my day. Only a handful of people read my blog and it was my little secret. When I created TT, my plans for it were a little different. Or… a lot different. 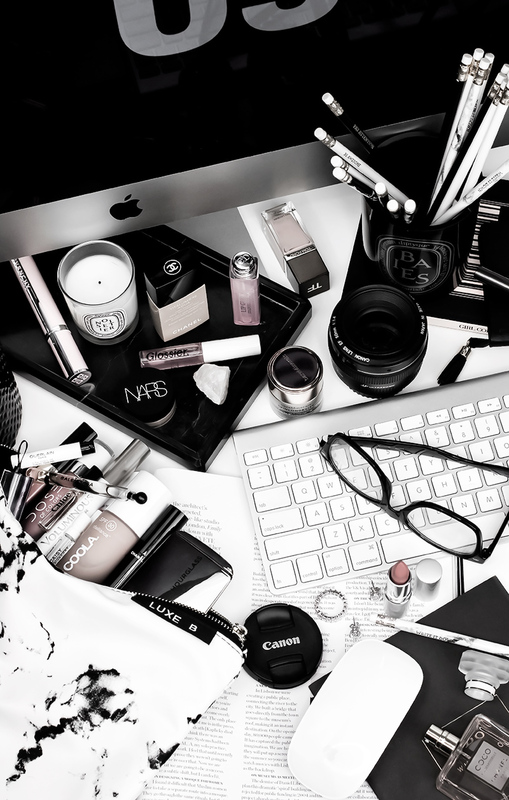 As many of you know this blog originally started as a beauty blog. I never thought that after a couple of years of running TT, I’ll be sharing things like photography or blogging tips. Back in 2011, I knew nothing about photography, building a blog audience or creating content. As it turns out, both Photography and Blogging have become most popular categories on this blog and I get questions about blogging from you guys on regular basis. One of the most popular questions I get is how to start a blog. That is why I decided to write this post on How to Start a Lifestyle Blog, which was HIGHLY requested. I’ll tell you how to start a lifestyle blog from scratch, register your own domain, set up hosting and install WordPress. If you’ve ever wondered how to start a lifestyle blog, you’re in the right place; I’m going to walk you through it. It’s a good idea to know what you want to blog about. Just because you want to learn how to start a lifestyle blog though, doesn’t mean that you have to write about the same things other lifestyle bloggers write about. To start, you don’t have to have gorgeous photos, your Instagram feed doesn’t have to be “perfect” and you don’t need to share anything too personal about yourself if you don’t want to. There are so many niches and topics you can choose, but the best advice I can give you is to make sure that when you do start your blog, you write about and focus on topics you’re very passionate about. Otherwise, you will get bored very quickly. Focus on something you’re good at, something you’re really interested in, maybe something you want to learn more about. If you’re a bit nervous, don’t think that you have to know everything there is to know about blogging. One of the reasons why I love blogging so much is that I get to learn new things pretty much on the daily basis. You can also read all about more reasons to start a blog in this post. There are a few blogging platforms, but I will focus on WordPress.org since it’s the platform I use. This is a self-hosted WordPress platform, which means that you will have to own your domain and sign up for hosting (which I will explain in more detail). With WordPress, you own your content. WordPress.org offers a lot of features and freedom with customizing your blog/website, whereas other platforms might have their limitations. If you’re thinking of really committing to having a blog, long-term, eventually starting a business, making an income or selling a product, maybe opening a blog shop, then I highly recommend you go with WordPress.org as it’s also very easy to set up. After four years of working on WordPress, I cannot imagine working on any different platform. If you want to blog just for fun or for yourself or you don’t want to worry about setting up hosting and want to sign up for a free blog, you can go with platforms like Blogger or WordPress.com. WordPress.org is actually a free service, but in order to use it, you will need to own a domain and set up hosting for your blog. A domain- which will be your blog address. Hosting- which is a paid service that hosts your site. WordPress- which is a platform which you will blog on. In other words, a domain is your address, your host provider is your landlord, and WordPress is your home. Why a self-hosted blog and not a free one, like Blogger or WordPress.COM? Well, the answer is simple: if you ever plan on monetizing your blog, self-hosted is the way to go! You have COMPLETE control over your blog and what happens to it; you can install plugins (think of them as apps that provide additional features for your site), you can even add an online store or an exclusive membership to your blog. Having a self-hosted blog also means that you OWN your blog and your content, and it cannot be deleted for any reason (which can happen with many free platforms). When I decided to start this blog, I was a bit intimidated as it was my first self-hosted blog (I worked on WordPress.com prior to launching Thirteen Thoughts, but once I decided to monetize my blog, I switched to a self-hosted WordPress.org platform). In reality, though, setting up a self-hosted blog is easy. To start, visit SiteGround and choose your plan. Well, because no one likes a slow-loading website. SiteGround is fast, they will keep your site safe and provide great support. Siteground also provides free SSL certificate which is a must. As of October 2017, Google is prioritizing HTTPS websites. This means that if your blog doesn’t have the SSL Certificate (in other words if your blog address starts with HTTP not HTTPS), you’re risking your blog being marked as “Not Secure” by Google. If you’re just starting out, you can host your blog for as little as $3.95 a month and I recommend you start with the StartUp plan- when you’re just starting your, it’s all you need. In order for your blog to be successful, you need reliable hosting. I cannot stress this enough! At the beginning, when you’re just starting out, it might not matter too much, but once your blog starts to grow and you get more and more traffic, this will be very important. I’m saying this from my own experience- I was with a different host than I am right now, years ago, when my blog suddenly had a huge spike in traffic after being featured on Yahoo. Despite my immediately contacting hosting support and switching to a larger plan, my blog was still down FOR THREE DAYS! All that time, I was missing out on that precious traffic that could have been converted to new subscribers. Even after changing my plan, my blog would randomly crash and let me tell you, it’s one of the most stressful things to deal with when you’re running a blog. Especially if you rely on it for income. Trust me, you DO NOT want this to happen to you. After you choose your plan, you can either buy your domain or use one you already own (if, for instance, you’re moving from Blogger). I definitely recommend you buy your domain from the same place you’re planning to host, as it makes things much easier down the road. 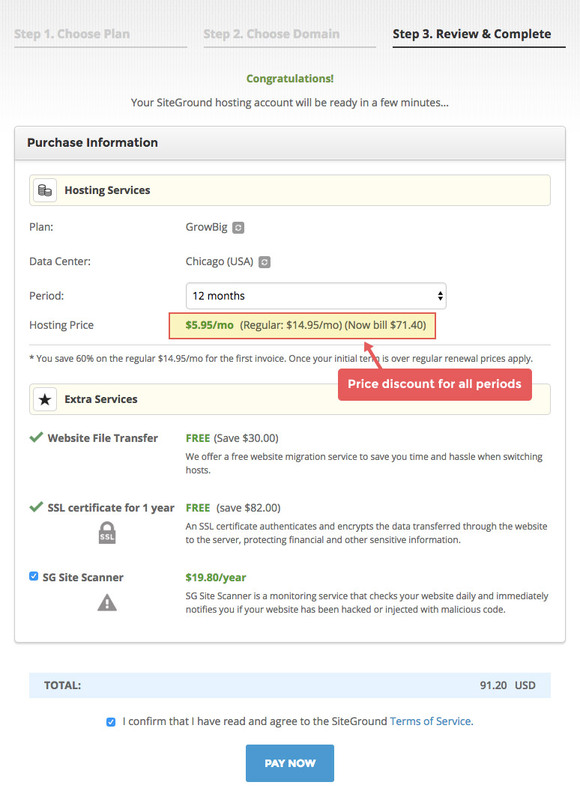 I actually bought my domain from a service separate from my hosting, and when TT outgrew cheap hosting and I had to upgrade servers, it made the whole process a bit more complicated. When choosing a domain name you obviously have to choose one that no one else is using, so you might have to get a little creative. If you are registering a new domain, you’ll first need to check if it’s available. 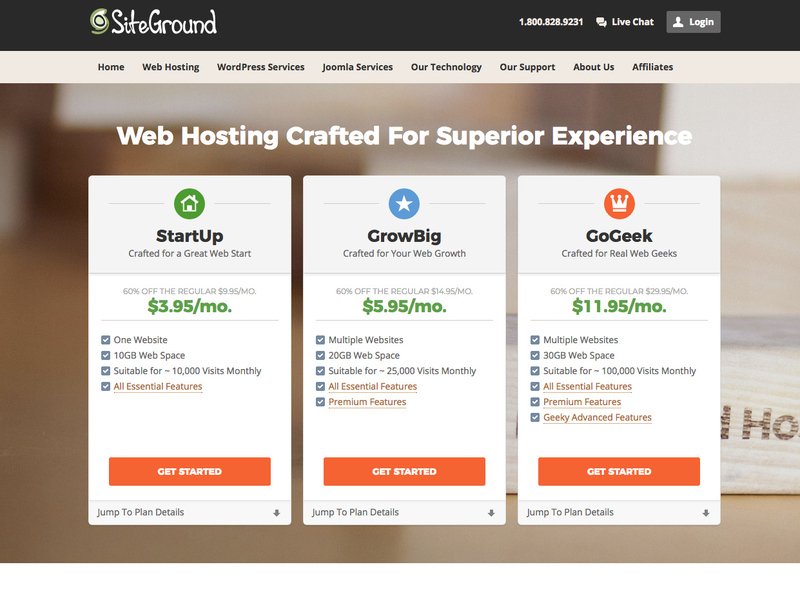 IF you are not happy with your current hosting provider and want to switch to SiteGround, then you will choose the “I already have a domain” option. 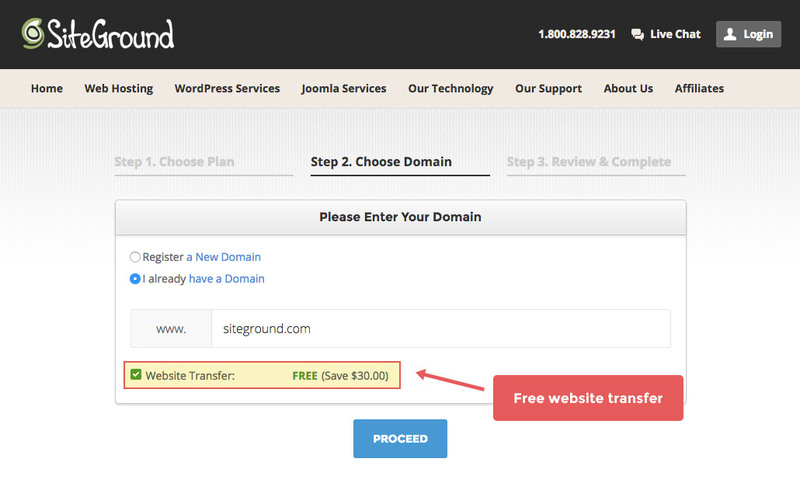 SiteGround offers FREE website migration and they’ll do all the work for you. Following, you pick your billing cycle, where there are a few options. Your price will differ depending on your billing cycle- usually, you get a much better deal when billed annually. You will also have an option of picking additional services (like domain privacy, which I highly recommend, otherwise all the information you used to register your domain becomes public, like your name, email, address, etc.). You will then create a username and enter your billing information and add any additional services you want to add and you’re ready to check out. Now all you have to do is wait until everything is set up. This is where your blog comes together. Just because you have a domain and hosting, doesn’t mean that your blog is ready. If you go to your “domainname.com” you will see a blank page, which is why you need to install WordPress. WordPress is where you’ll be doing all your blogging, while SiteGround (your host) is a service that will keep your blog running, store all your files, run all the processes, etc. So, WordPress.org (not to be confused with WordPress.com), on its own, is a free service, but you need the web hosting in order to run it. Some people actually pay to have WordPress installed, but it’s ridiculously simple, and as long as you can read and know how to use a computer, you can do it yourself. After you register your domain and sign up for your hosting account with SiteGround, you will receive a confirmation email that will contain some important information, including a link to your control panel, username, and password. Once you open your control panel by clicking on the link in your “welcome” email, enter your username and password and log in. You can see a tutorial on SiteGround right here if it’s your first time working on a self-hosted website. 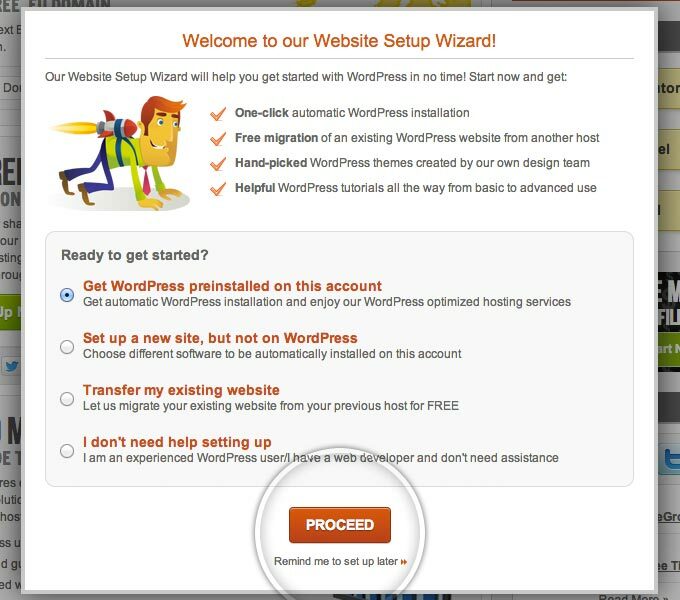 You can also use a SiteGround Wizard to Install WordPress. 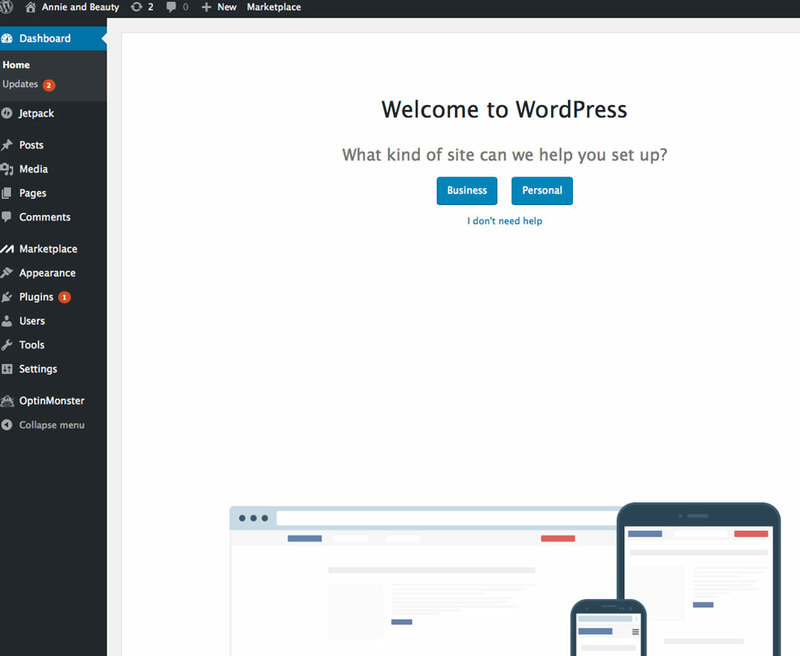 When you log in to the Customer Area for the first time, you will see a message pop up, asking if you’d like to have WordPress installed on your account. You can then pick one of the free WordPress themes to be preinstalled on your new blog. After that, you’re all set and can now log in to your brand new WordPress Blog. Sometimes, it can take a little while for everything to set up, so don’t worry if you try to go to your blog address and it’s not showing up right away. After you’re done setting up your domain with SiteGround and installing WordPress, it’s time to pick a theme. 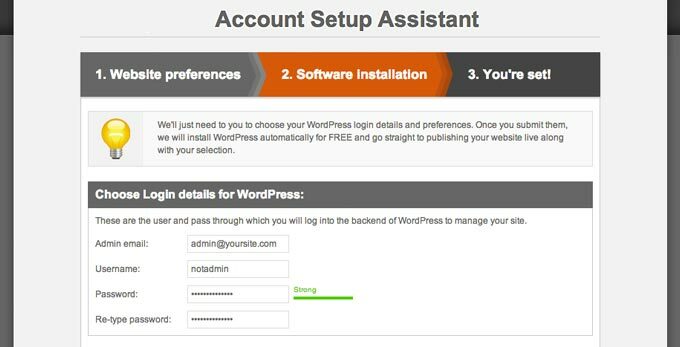 To access your blog, go to yourblogname.com/wp-admin and you will be prompted to enter your WordPress login information. This is where you will log in to blog; write your posts, change your themes, upload your images, etc. This is what your WordPress Dashboard will look like. 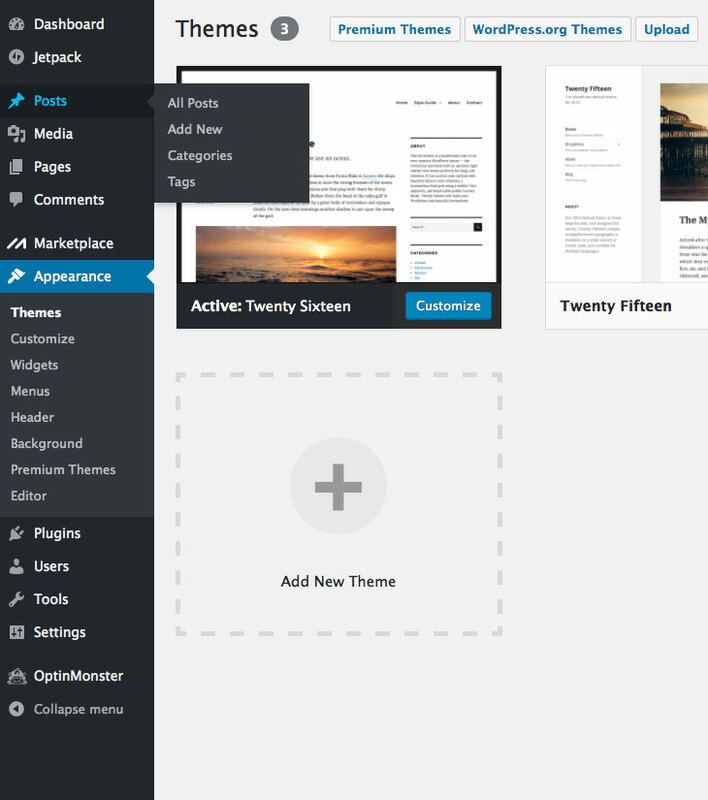 WordPress is pretty simple to navigate and you can easily change your theme by going to Appearance > Themes. There will be a few default themes that come pre-installed on WordPress, but you can search through many free themes or you can purchase gorgeous, pre-made themes for WordPress, email graphics that fit your aesthetic and more from places like CreativeMarket or Etsy. 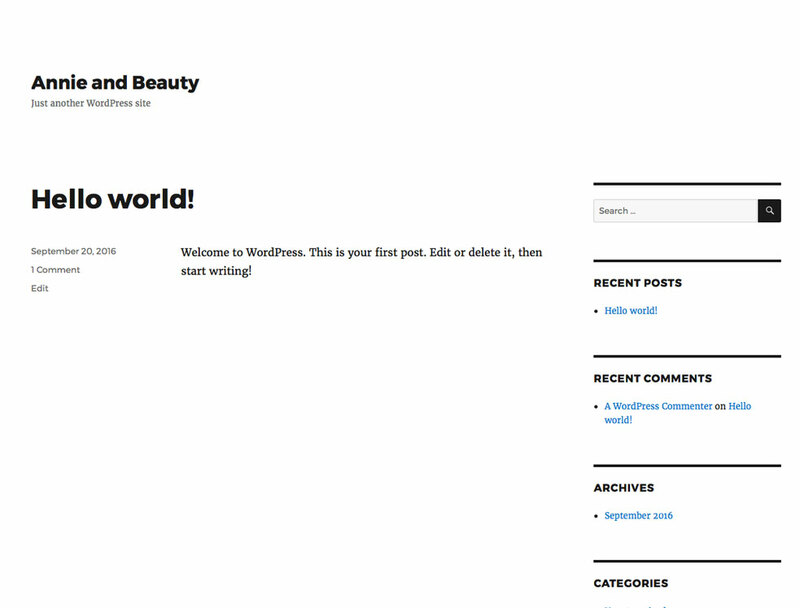 You can now go to “Posts” in your Dashboard and delete the “Hello World” post that will appear on your blog. Now, even though this post is titled “How to Start a Lifestyle Blog“, you can obviously set up a blog in any niche, by following these steps. After you publish a couple of posts, I highly recommend you start connecting with bloggers in your niche, right away. Visit other blogs, leave comments and don’t be afraid to spread the word about your blog, even if you’re just starting out. I get questions about growing and expanding blog audience pretty much every single day and I always say that connecting with other bloggers is a great place to start. Another tip is this: start a Pinterest account for your blog- sign up for a Business Account and set up rich pins for your blog. Once again, Pinterest is a great place to connect with others, but it can also be a great resource for information or a place to promote your blog posts. I talk about Pinterest all the time because I can honestly say that my blog wouldn’t be nearly as successful as it is if it wasn’t for Pinterest. You can learn how I get almost 7 millions views each month on Pinterest in this post. If you want to grow your Pinterest account but don’t have time to pin on a regular basis (which is what will help you grow your following fast) then I also recommend you schedule them using a tool like TailWind (I wrote about it here). You can also join a few group boards for bloggers- you can find boards to join on PinGroupie. I get thousands of referrals from Pinterest every day, so I highly recommend you check it out and get familiar with it. If you want to join my Tailwind Tribe for Bloggers that I just created, you can click this link to your invitation. If you’re new to Tailwind you will also receive a free month of Tailwind Plus (Tribes is a free feature, even if you don’t already use Tailwind). 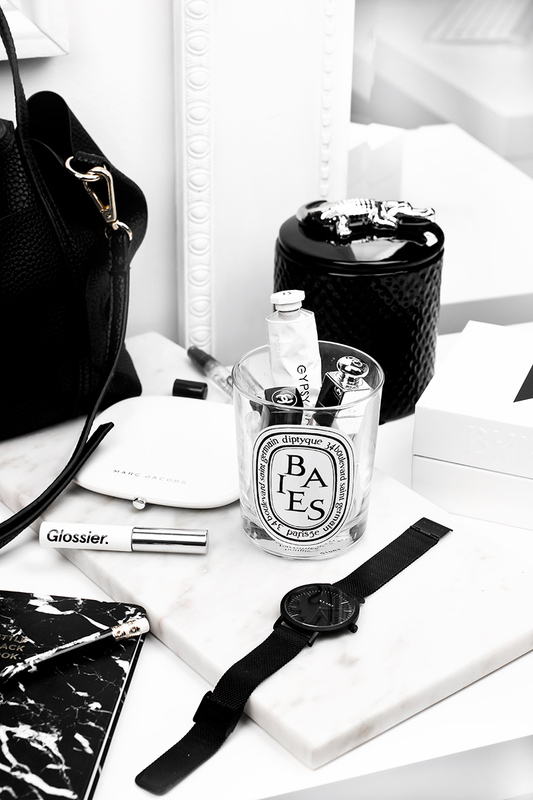 Before you decide to join in though, there are a few rules: pins need to be vertical, high quality and need to be relevant to lifestyle/blogging niches. My Blogging and Photography sections are full of blog tips you might find helpful when starting out. 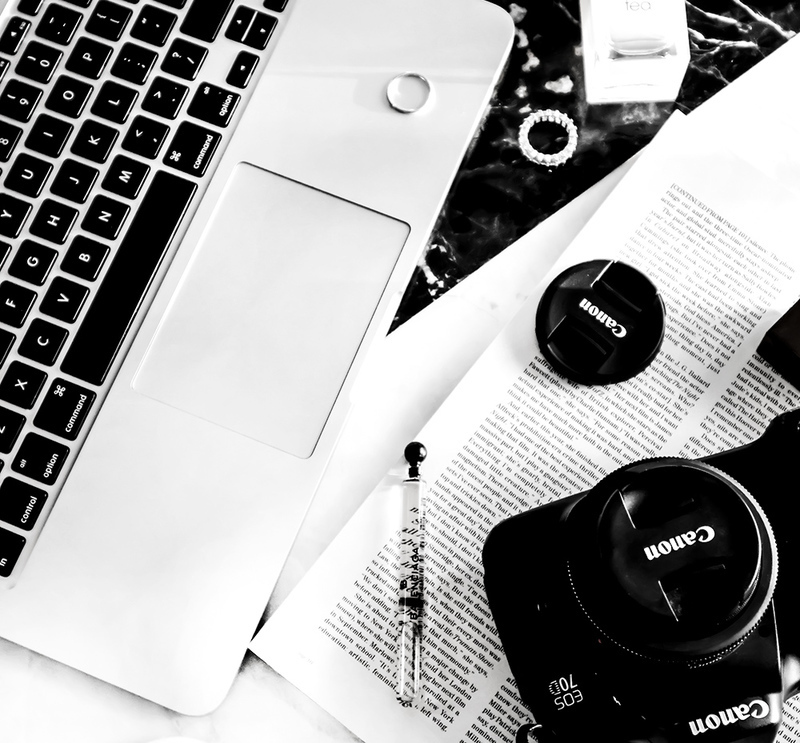 I also have a BLOG RESOURCE page where I linked exact equipment I use for blogging, plugins I recommend as well as some of my most-loved Blogging and Photography posts. If you can’t find an answer to your question, feel free to get in touch with me. 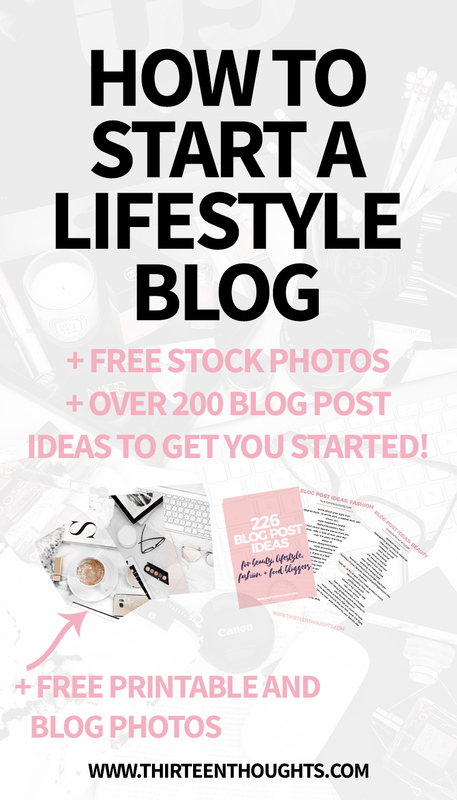 You can also grab a free printable with over 200 ideas for a blog post right here. Well, if you’ve ever wondered how to start a lifestyle blog, or want to start a blog, this is pretty much all you need. I can honestly say that starting a blog changed my life in many different ways and I can’t imagine my life without it. If you need any help setting up your blog, you can also contact SiteGround via their live chat. Once you start your blog and have a few posts published, you’re ready to start making money! You can also grab 10 FREE, styled stock photos here to help you get started on your lifestyle blog. To see a list of affiliate programs and other resources I highly recommend, see this post. How to Start a Lifestyle Blog: this content uses referral links. Read my disclosure policy for more info.